Understanding the complex geological processes that form supervolcanoes could ultimately help geologists determine what triggers their eruptions. A new study using an advanced computer model casts doubt on previously held theories about the Yellowstone supervolcano’s origins, adding to the mystery of Yellowstone’s formation. 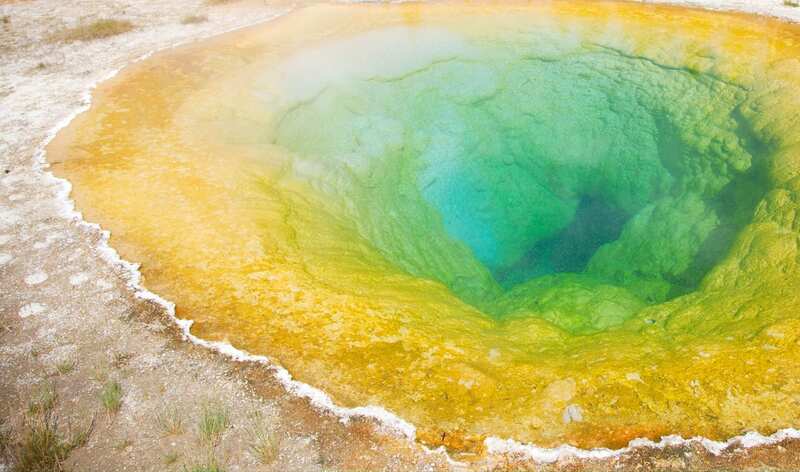 “Our model covered the entire history of Yellowstone volcanic activities,” said Lijun Liu, a geology professor at the University of Illinois. Liu’s computer model accounted for the last 40 million years, prior to even the earliest signs of Yellowstone’s volcanism. Yellowstone is one of the largest remaining active supervolcanoes. True to its name, a supervolcano is capable of erupting on a much larger scale than an ordinary volcano. The origins of Yellowstone are still under much debate. One of the most prevalent views is that Yellowstone’s supervolcano was formed by a vertical column of hot rocks rising from the top of the earth’s core, known as a mantle plume. “The majority of previous studies have relied on conceptual, idealized models, which are not physically and geologically accurate,” Liu said. Some recent studies reproduced key geophysical factors in a laboratory setting, including a rising plume and a sinking oceanic plate. However, these studies failed to account for the comprehensive set of geological variables that change over time, influencing the volcanic history. “Our physical model is more sophisticated and realistic than previous studies, because we simultaneously consider many more relevant dynamic processes,” Liu said. Using the Blue Waters supercomputer at the National Center for Supercomputing Applications at the U. of I., one of the fastest supercomputers in the world, Liu’s team created a computer model that replicated both the plate tectonic history of the surface and the geophysical image of the Earth’s interior. This study is the first to use a high-performance supercomputer to interpret the layers of complicated geophysical data underlying Yellowstone, Liu said. The main goal of the study was to examine whether the initiation and subsequent development of the Yellowstone volcanic system was driven by a mantle plume. The simulated data showed that the plume was blocked from traveling upward toward the surface by ancient tectonic plates, meaning that the plume could not have played a significant role in forming Yellowstone, Liu said. The researchers published their findings in the journal Geophysical Research Letters. The researchers also examined many other factors that could have played a role in forming Yellowstone. These simulations discounted most of the other theories of Yellowstone’s origins, Liu said. As a result, formation of the Yellowstone volcanic system remains mysterious. Supervolcanoes are hazardous natural phenomena that evoke public concern, partly because their formation is not well understood. 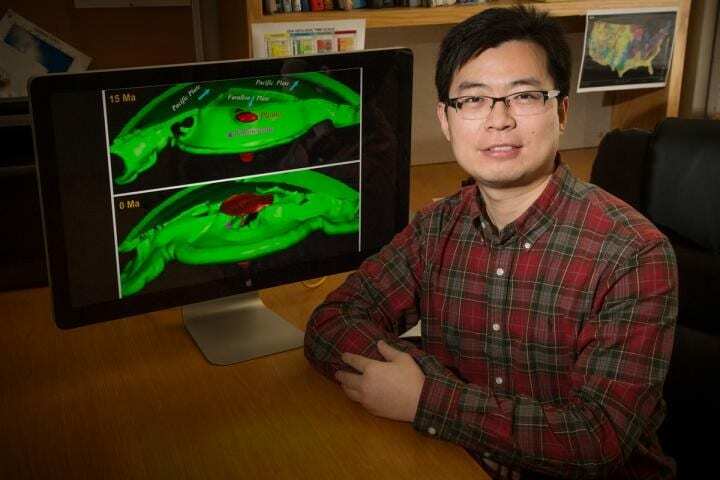 While this area of research is still far from predicting eruptions, Liu said, improving the fundamental understanding of the underlying dynamics of supervolcano formation is key to many future applications of relevant geophysical knowledge.